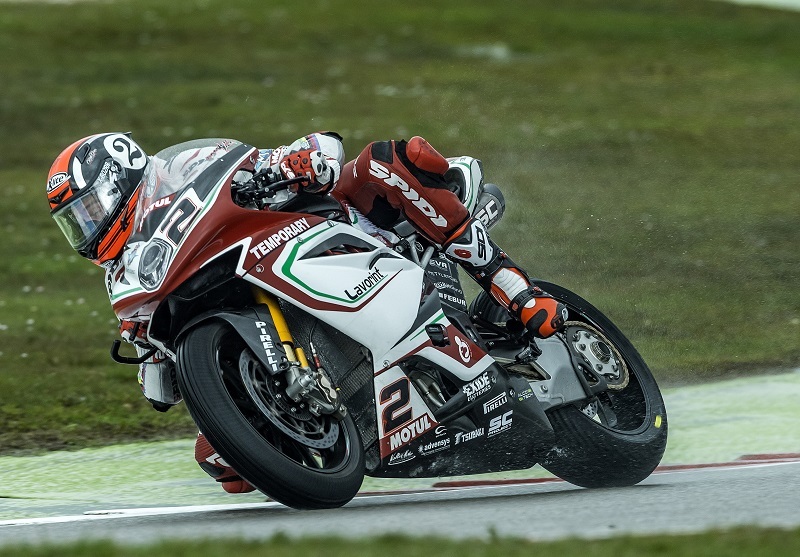 The fourth round of the 2016 MOTUL FIM Superbike World Championship started today at TT Circuit Assen, with MV Agusta Reparto Corse riders involved in a very wet practice condition. After two session of qualifying practice during the opening day at TT Circuit, Leon Camier finished up 11° in WorldSBK class with a 1’54.564 lap time, narrowly missing the Tissot-Superpole 2 for just 1 position. Despite the slippery condition on track, the British rider felt himself confident in wet condition and the team is now working to even improve the grip of his MV Agusta F4 RC for tomorrow’s Superpole and Race. Leon Camier #2 – To be honest I was hoping to be al little bit faster in the wet but we made some changes to the bike between the sessions and definitely went in the right direction. I think for tomorrow we need to understand what we need to do to make the bike feel a little bit more comfortable and to find some major grip. With this condition is easy to make a mistake and an early crash but if we find a good setting with the chassis and the electronics, we can make a good step forward. Due to the heavy rain it was a mixed day for MV Agusta Reparto Corse WorldSSP team at Assen, with Lorenzo Zanetti scoring the 9th position in Free Practice combined results and entering the Tissot-Superpole 2; from the other side Zanetti’s teammate Jules Cluzel, 3rd in Championship Standing, suffered a crash in FP1 and another crash in FP2 and, despite he escaped unharmed, he wasn’t able to improve his lap time.